A recent email from GreenJobInterview.com caught our attention this week. The company is the leader in live virtual interviews using web-based technology to facilitate face-to-face meetings between an interviewer and candidate, and joining participants together in a virtual, real-time meeting room. As such, hiring managers can readily interview their top candidates anywhere in the world with zero travel expense. What’s interesting is that companies typically spend an average of $650 to $2,000 for an initial interview with a job candidate when travel outside the local area is involved, according to GreenJobInterview. With this service, interviewers can set up live, real-time interviews and see candidates face-to-face with NO travel and without having to leave their desks for a cost of just $49.99 per half hour. While we haven’t tried it yet, what we love about the GreenJobInterview concept is that it addresses critical challenges most every company faces today: the need to hire the best candidates, while also reducing hiring costs and maximizing the productivity of HR staff. 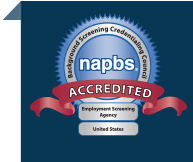 We think there’s even more of an opportunity here for employers to accomplish the benefits of virtual job interviews by incorporating web-based reference checks into the process. 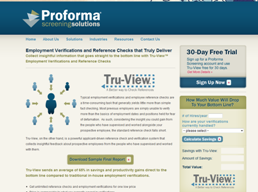 You may have already heard of our web-based employment verification system, Tru-View. A great companion service to the likes of GreenJobInterview, Tru-View enables hiring managers to take a job candidate at any stage of the hiring process (before the interview, after the interview, before the final selection) and enter the individual into Tru-View for an automated and insightful reference check. In short, as more and more companies look to hire the best available talent, reduce hiring expenses, and maximize their productivity, services like GreenJobInterview.com and Tru-View offer necessary support. To learn more about GreenJobInterview visit www.greenjobinterview.com. To learn more about Tru-View and find out about our 30 day trial period visit www.proformascreening.com/tru-view. Subscribe to our blog to learn about other solutions to meet your HR goals.